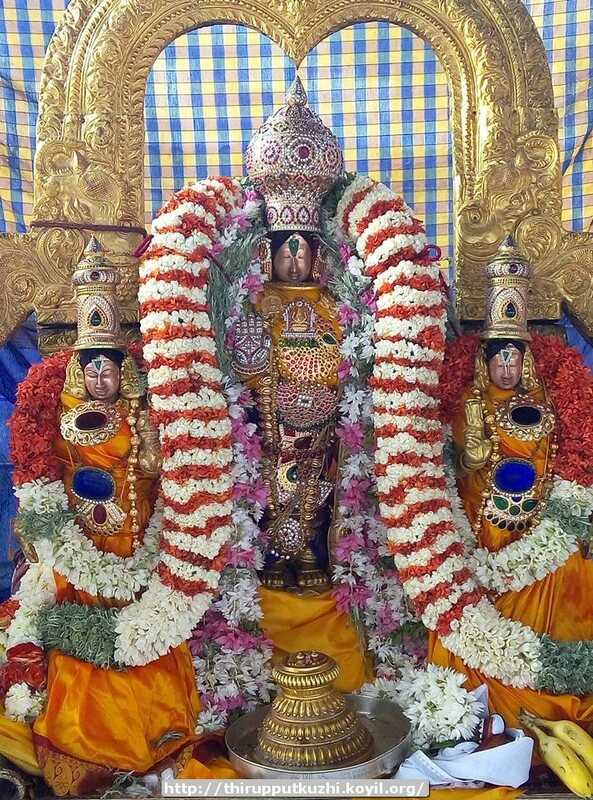 vaikundhA maNivaNNanE – http://divyaprabandham.koyil.org/index.php/2016/04/thiruvaimozhi-2-6-1-vaikundha-manivannane/ – English translation. Full series can be viewed at http://divyaprabandham.koyil.org/index.php/thiruvaimozhi/ . thiruppAvai – Audio rendering 6th pAsuram to 20th pAsuram available at http://divyaprabandham.koyil.org/index.php/2016/02/thiruppavai-audio/ . thaniyans and first five pAsurams available. 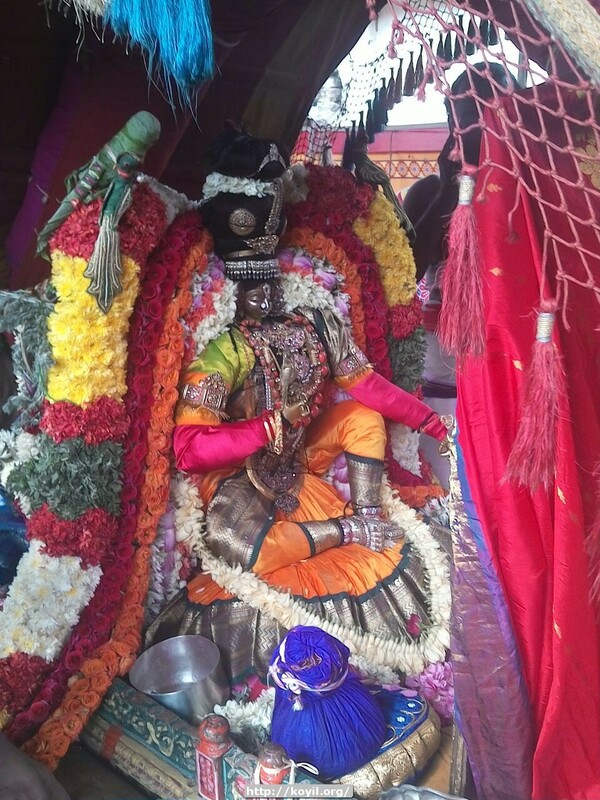 Commencement of thiruvAimozhi 2.6 decad – vaikundhA – http://divyaprabandham.koyil.org/index.php/2016/03/thiruvaimozhi-2-6-vaikundha/ – English translation. Audio available at http://divyaprabandham.koyil.org/index.php/2016/03/thiruvaimozhi-2-6-audio/ . Full series can be viewed at http://divyaprabandham.koyil.org/index.php/thiruvaimozhi/ . SrIvaikuNta gadhyam 1st chUrNai Part 2 – http://divyaprabandham.koyil.org/index.php/2016/03/srivaikunta-gadhyam-1-part-2/ – English translation by T N krishNan swamy. Full series available at http://divyaprabandham.koyil.org/index.php/2016/03/srivaikunta-gadhyam/. This entry was posted in Uncategorized on March 31, 2016 by Sarathy Thothathri. thiruvAimozhi 2.5.11 – kURudhal onRu – http://divyaprabandham.koyil.org/index.php/2016/03/thiruvaimozhi-2-5-11-kurudhal-onru/ – English translation. Full series can be viewed at http://divyaprabandham.koyil.org/index.php/thiruvaimozhi/ . thiruvAimozhi 2.4 – English e-book link available at http://divyaprabandham.koyil.org/index.php/2015/11/thiruvaimozhi-2nd-centum/ and http://divyaprabandham.koyil.org/index.php/e-books/ . Thanks to parAsara (pradeep) swamy for preparing the e-book. dhivya prabandham – thiruvAimozhi 2.5.10 – AN allan – http://divyaprabandham.koyil.org/index.php/2016/03/thiruvaimozhi-2-5-10-an-allan/ – English translation. Full series can be viewed at http://divyaprabandham.koyil.org/index.php/thiruvaimozhi/ . dhivya prabandham – thiruvAimozhi 2.5.9 – solleer en ammAnai – http://divyaprabandham.koyil.org/index.php/2016/03/thiruvaimozhi-2-5-9-solleer-en-ammanai/ – English translation. Full series can be viewed at http://divyaprabandham.koyil.org/index.php/thiruvaimozhi/ . thiruvAimozhi 2.5.8 – ponmudi ampOrERRai – http://divyaprabandham.koyil.org/index.php/2016/03/thiruvaimozhi-2-5-8-ponmudi-amporerrai/ – English translation. Full series can be viewed at http://divyaprabandham.koyil.org/index.php/thiruvaimozhi/ . Audio rendering of rAmAnusa nURRanthAdhi – pAsurams 32 to 45 uploaded – http://divyaprabandham.koyil.org/index.php/2016/01/ramanusa-nurranthadhi-audio/ . SrIvaikuNta gadhyam 1st chUrNai Part 1 – http://divyaprabandham.koyil.org/index.php/2016/03/srivaikunta-gadhyam-1-part-1/ – English translation by T N krishNan swamy. Full series available at http://divyaprabandham.koyil.org/index.php/2016/03/srivaikunta-gadhyam/. Commencement of yathirAja vimSathi (hindi) translation uploading at http://divyaprabandham.koyil.org/index.php/2016/03/yathiraja-vimsathi-hindi/ . thaniyan translation available at http://divyaprabandham.koyil.org/index.php/2016/03/yathiraja-vimsati-hindi-thaniyan/ . Previously published in SrIrAmAnuja dharSanam magazine (http://www.varavaramuni.com/home/sriramanuja-dharsanam-magazine) – Thanks to lakshminarasimhan swamy for uploading the same. This entry was posted in Uncategorized on March 27, 2016 by Sarathy Thothathri. SrI rAmAnuja dharsanam – e-magazine – December/kArthik – hindi Issue recently released and can be viewed at http://www.varavaramuni.com/home/sriramanuja-dharsanam-magazine/hindi . New Mobile Apps – Reader’s Guide (thamizh and hindi) can be downloaded from http://pillai.koyil.org/index.php/mobile-apps/ . Thanks to aruNkumAr swamy for preparing the same. dhivya prabandham – thiruvAimozhi 2.5.7 – pAmbaNai mEl – http://divyaprabandham.koyil.org/index.php/2016/03/thiruvaimozhi-2-5-7-pambanai-mel/ – English translation. Full series can be viewed at http://divyaprabandham.koyil.org/index.php/thiruvaimozhi/ . SrIvaishNava granthams – Simple Guide to SrIvaishNavam – AchArya Sishya sambandham – https://srivaishnavagranthamshindi.wordpress.com/2016/03/21/simple-guide-to-srivaishnavam-acharya-sishya/ based on http://ponnadi.blogspot.in/2015/12/simple-guide-to-srivaishnavam-acharya-sishya.html – Hindi translation by bhagavathi ammangar. Full series can be viewed at https://srivaishnavagranthamshindi.wordpress.com/simple-guide-to-srivaishnavam/ . dhivya prabandham – thiruvAimozhi 2.5.6 – pala palavE – http://divyaprabandham.koyil.org/index.php/2016/03/thiruvaimozhi-2-5-6-pala-palave/ – English translation. Full series can be viewed at http://divyaprabandham.koyil.org/index.php/thiruvaimozhi/ . SrIvaishNava granthams – virOdhi parihArangaL part 10 – https://srivaishnavagranthamshindi.wordpress.com/2016/03/20/virodhi-pariharangal-10/ based on http://ponnadi.blogspot.in/2014/01/virodhi-pariharangal-10.html – hindi translation by kEshav swamy. Full series can be viewed at https://srivaishnavagranthamshindi.wordpress.com/virodhi-pariharangal/ . thiruvAimozhi 2.5.5 – ArA amudhamAy – http://divyaprabandham.koyil.org/index.php/2016/03/thiruvaimozhi-2-5-5-ara-amudhamay/ – English translation. Full series can be viewed at http://divyaprabandham.koyil.org/index.php/thiruvaimozhi/ . 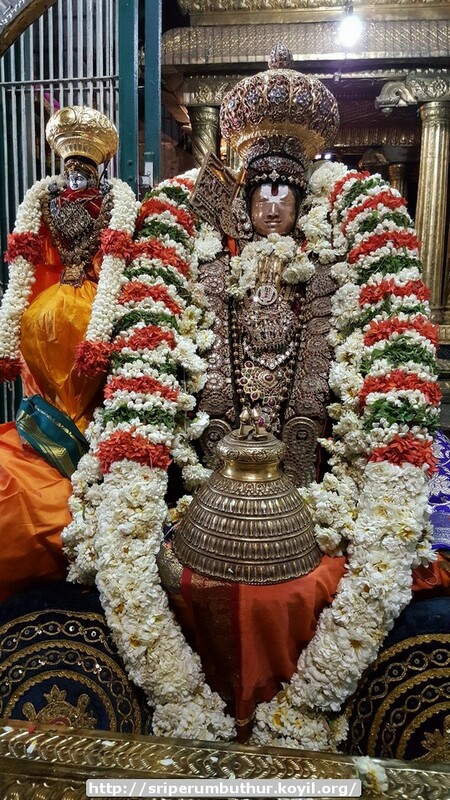 Commencement of SrIvaikuNta gadhyam English Translation – http://divyaprabandham.koyil.org/index.php/2016/03/srivaikunta-gadhyam/. thaniyan can be viewed at http://divyaprabandham.koyil.org/index.php/2016/03/srivaikunta-gadhyam-thaniyan/ and Introduction can be viewed at http://divyaprabandham.koyil.org/index.php/2016/03/srivaikunta-gadhyam-pravesam/ – Translation by T N krishNan swamy. SrI varavaramuni dhinacharyA – 7th to 13th SlOkams published – English translation by Dr M Varadarajan swamy – uploaded by Sundharavaradhan swamy. SlOkams can be viewed at http://divyaprabandham.koyil.org/index.php/2015/05/sri-varavaramuni-dhinacharya/ . thiruvAimozhi 2.5.4 – epporuLum thAnAy – http://divyaprabandham.koyil.org/index.php/2016/03/thiruvaimozhi-2-5-4-epporulum-thanay/ – English translation. Full series can be viewed at http://divyaprabandham.koyil.org/index.php/thiruvaimozhi/ . SrI varavaramuni dhinacharyA – 4th to 6th SlOkams published – English translation by Dr M Varadarajan swamy – uploaded by Sundharavaradhan swamy. SlOkams can be viewed at http://divyaprabandham.koyil.org/index.php/2015/05/sri-varavaramuni-dhinacharya/ . This entry was posted in Uncategorized on March 19, 2016 by Sarathy Thothathri. 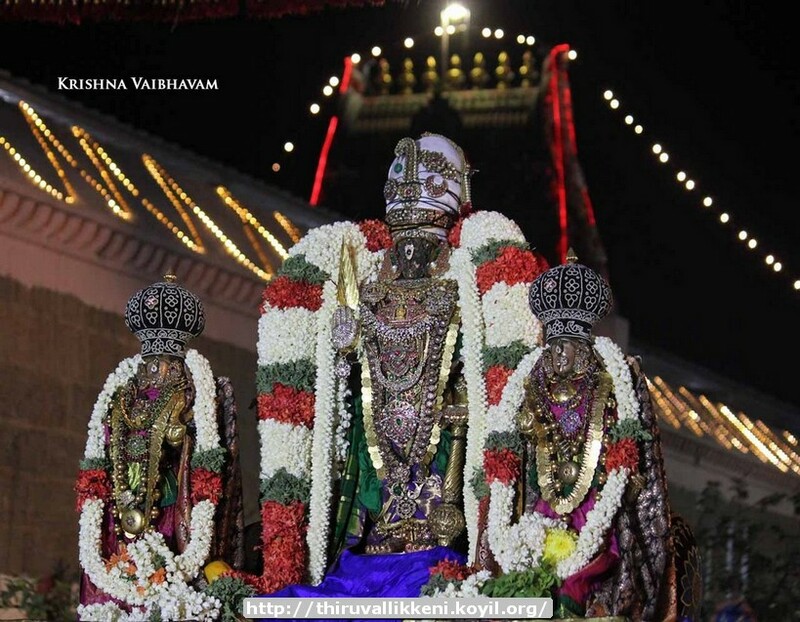 SrIvaishNava granthams – Simple Guide to SrIvaishNavam – Reader’s guide – https://srivaishnavagranthamstamil.wordpress.com/2016/03/18/simple-guide-to-srivaishnavam-readers-guide/ based on https://srivaishnavagranthams.wordpress.com/readers-guide/ – thamizh translation by sadagopan swamy. Full series can be viewed at https://srivaishnavagranthamstamil.wordpress.com/simple-guide-to-srivaishnavam/. New Mobile App – Reader’s Guide (English) can be downloaded from http://pillai.koyil.org/index.php/mobile-apps/ . Thanks to aruNkumAr swamy for preparing the same. dhivya prabandham – thiruvAimozhi 2.5.3 – ennuL kalandhavan – http://divyaprabandham.koyil.org/index.php/2016/03/thiruvaimozhi-2-5-2-thiru-udambu/ – English translation. Full series can be viewed at http://divyaprabandham.koyil.org/index.php/thiruvaimozhi/ . thiruvAimozhi 2.5.2 – thiru udambu – http://divyaprabandham.koyil.org/index.php/2016/03/thiruvaimozhi-2-5-2-thiru-udambu/ – English translation. Full series can be viewed at http://divyaprabandham.koyil.org/index.php/thiruvaimozhi/ . SrI varavaramuni dhinacharyA – Introduction and first 3 SlOkams – English translation by Dr M Varadarajan swamy – uploaded by Sundharavaradhan swamy. SlOkams can be viewed at http://divyaprabandham.koyil.org/index.php/2015/05/sri-varavaramuni-dhinacharya/ . thiruvAimozhi 2.5.1 – andhAmaththu anbu – http://divyaprabandham.koyil.org/index.php/2016/03/thiruvaimozhi-2-5-1-andhamaththu-anbu/ – English translation. Full series can be viewed at http://divyaprabandham.koyil.org/index.php/thiruvaimozhi/ . SrIranga gadhyam 7th chUrNai – http://divyaprabandham.koyil.org/index.php/2016/03/sriranga-gadhyam-7/ – English translation by T N krishNan swamy. Full series available at http://divyaprabandham.koyil.org/index.php/2016/02/sriranga-gadhyam/ . With this, SrIranga gadhyam is completed. SrIvaishNava granthams – virOdhi parihArangaL part 9 – https://srivaishnavagranthamshindi.wordpress.com/2016/03/15/virodhi-pariharangal-9/ based on http://ponnadi.blogspot.in/2014/01/virodhi-pariharangal-9.html – hindi translation by kEshav swamy. Full series can be viewed at https://srivaishnavagranthamshindi.wordpress.com/virodhi-pariharangal/ . dhivya prabandham – Commencement of thiruvAimozhi 2.5 decad – andhAmaththanbu – http://divyaprabandham.koyil.org/index.php/2016/03/thiruvaimozhi-2-5-andhamaththanbu/ – English translation. Audio available at http://divyaprabandham.koyil.org/index.php/2016/03/thiruvaimozhi-2-5-audio/ . Full series can be viewed at http://divyaprabandham.koyil.org/index.php/thiruvaimozhi/ . dhivya prabandham – thiruvAimozhi 2.4.11 – vAttamil pugazh – http://divyaprabandham.koyil.org/index.php/2016/03/thiruvaimozhi-2-4-11-vattamil-pugazh/ – English translation. Full series can be viewed at http://divyaprabandham.koyil.org/index.php/thiruvaimozhi/ . dhivya prabandham – thiruvAimozhi 2.4.10 – Ezhai pEdhai – http://divyaprabandham.koyil.org/index.php/2016/03/thiruvaimozhi-2-4-10-ezhai-pedhai/ – English translation. Full series can be viewed at http://divyaprabandham.koyil.org/index.php/thiruvaimozhi/ . thiruvAimozhi 2.4.9 – patta pOdhu – http://divyaprabandham.koyil.org/index.php/2016/03/thiruvaimozhi-2-4-9-patta-podhu/ – English translation. Full series can be viewed at http://divyaprabandham.koyil.org/index.php/thiruvaimozhi/ . SrIranga gadhyam 6th chUrNai – http://divyaprabandham.koyil.org/index.php/2016/03/sriranga-gadhyam-6/ – English translation by T N krishNan swamy. Full series available at http://divyaprabandham.koyil.org/index.php/2016/02/sriranga-gadhyam/ . This entry was posted in Uncategorized on March 12, 2016 by Sarathy Thothathri. guru paramaparai – thirukkaNNamangai ANdAn – life and glories in thamizh – https://guruparamparaitamil.wordpress.com/2016/03/11/thirukkannamangai-andan/ based on http://guruparamparai.wordpress.com/2014/07/13/thirukkannamangai-andan/ – new article by renga rAmAnujam swamy; reviewed by T N krishNan swamy . Please visit https://guruparamparaitamil.wordpress.com/2015/03/14/introduction-2/ to see the full list. dhivya prabandham – thiruvAimozhi 2.4.8 – vanjanE ennum – http://divyaprabandham.koyil.org/index.php/2016/03/thiruvaimozhi-2-4-8-vanjane-ennum/ – English translation. Full series can be viewed at http://divyaprabandham.koyil.org/index.php/thiruvaimozhi/ . bhagavath gIthA – SlOkams 26 to 35 added in http://githa.koyil.org/index.php/chapter-1/ based on http://githa.koyil.org/index.php/chapter-1-original/ . thiruvAimozhi 2.4.7 – uLLuL Avi – http://divyaprabandham.koyil.org/index.php/2016/03/thiruvaimozhi-2-4-7-ullul-avi/ – English translation. Full series can be viewed at http://divyaprabandham.koyil.org/index.php/thiruvaimozhi/ . SrIranga gadhyam 4th and 5th chUrNais – http://divyaprabandham.koyil.org/index.php/2016/03/sriranga-gadhyam-4-5/ – English translation by T N krishNan swamy. Full series available at http://divyaprabandham.koyil.org/index.php/2016/02/sriranga-gadhyam/ . Audio rendering of rAmAnusa nURRanthAdhi – pAsurams 22 to 31 uploaded – http://divyaprabandham.koyil.org/index.php/2016/01/ramanusa-nurranthadhi-audio/ . dhivya prabandham – thiruvAimozhi 2.4.6 – thagavudaiyavanE – http://divyaprabandham.koyil.org/index.php/2016/03/thiruvaimozhi-2-4-6-thagavudaiyavane/ – English translation. Full series can be viewed at http://divyaprabandham.koyil.org/index.php/thiruvaimozhi/ . SrI rAmAnuja dharsanam – e-magazine – March/mAsi – thamizh Issue recently released and can be viewed at http://www.varavaramuni.com/home/sriramanuja-dharsanam-magazine/thamizh . 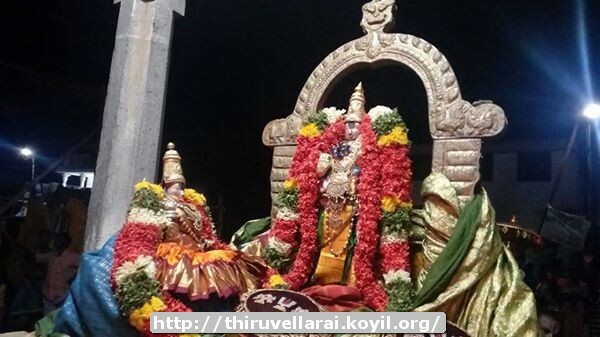 thiruvAimozhi 2.4.5 – ivaL irAp pagal – http://divyaprabandham.koyil.org/index.php/2016/03/thiruvaimozhi-2-4-5-ival-irap-pagal/ – English translation. Full series can be viewed at http://divyaprabandham.koyil.org/index.php/thiruvaimozhi/ . SrIranga gadhyam 3rd chUrNai – http://divyaprabandham.koyil.org/index.php/2016/03/sriranga-gadhyam-3/ – English translation by T N krishNan swamy. Full series available at http://divyaprabandham.koyil.org/index.php/2016/02/sriranga-gadhyam/ . piLLai uRangA villi dhAsar (dhanur dhAsa) – life and glories in telugu – https://guruparamparaitelugu.wordpress.com/2016/03/07/pillai-uranga-villi-dhasar/ based on http://guruparamparai.wordpress.com/2013/02/22/pillai-uranga-villi-dhasar/ – new article by raghuvamsi swamy. Please visit https://guruparamparaitelugu.wordpress.com/2013/09/01/introduction-2/ to see the full list. SrIvaishNava granthams – Simple Guide to SrIvaishNavam – pancha samskAram – https://srivaishnavagranthamshindi.wordpress.com/2016/03/07/simple-guide-to-srivaishnavam-pancha-samskaram/ based on http://ponnadi.blogspot.in/2015/12/simple-guide-to-srivaishnavam-pancha-samskaram.html – Hindi translation by bhagavathi ammangar. Full series can be viewed at https://srivaishnavagranthamshindi.wordpress.com/simple-guide-to-srivaishnavam/ . thiruvAimozhi 2.4.4 – ilangai seRRavanE – http://divyaprabandham.koyil.org/index.php/2016/03/thiruvaimozhi-2-4-4-ilangai-serravane/ – English translation. Full series can be viewed at http://divyaprabandham.koyil.org/index.php/thiruvaimozhi/ . thiruvAimozhi 2.3 – English e-book link available at http://divyaprabandham.koyil.org/index.php/2015/11/thiruvaimozhi-2nd-centum/ and http://divyaprabandham.koyil.org/index.php/e-books/ . Thanks to parAsara (pradeep) swamy for preparing the e-book. SrIvaishNava granthams – Simple Guide to SrIvaishNavam – Introduction – https://srivaishnavagranthamshindi.wordpress.com/2016/03/06/simple-guide-to-srivaishnavam-introduction/ based on http://ponnadi.blogspot.in/2015/12/simple-guide-to-srivaishnavam-introduction.html – Hindi translation by bhagavathi ammangar. Full series can be viewed at https://srivaishnavagranthamshindi.wordpress.com/simple-guide-to-srivaishnavam/ . dhivya prabandham – thiruvAimozhi 2.4.3 – irakka manaththOdu – http://divyaprabandham.koyil.org/index.php/2016/03/thiruvaimozhi-2-4-3-irakka-manaththodu/ – English translation. Full series can be viewed at http://divyaprabandham.koyil.org/index.php/thiruvaimozhi/ . SrIvaishNava granthams – virOdhi parihArangaL part 8 – https://srivaishnavagranthamshindi.wordpress.com/2016/03/05/virodhi-pariharangal-8/ based on http://ponnadi.blogspot.in/2014/01/virodhi-pariharangal-8.html – hindi translation by kEshav swamy. Full series can be viewed at https://srivaishnavagranthamshindi.wordpress.com/virodhi-pariharangal/ . dhivya prabandham – thiruvAimozhi 2.4.2 – vAL nudhal – http://divyaprabandham.koyil.org/index.php/2016/03/thiruvaimozhi-2-4-2-val-nudhal/ – English translation. Full series can be viewed at http://divyaprabandham.koyil.org/index.php/thiruvaimozhi/ . This entry was posted in Uncategorized on March 5, 2016 by Sarathy Thothathri.